Raising a family is an incredible undertaking, and finding the perfect city for your family is an important decision for many parents. Locating the right combination of a perfect school, family friendly activities and a home for the entire family can be quite a feat. Searching for the right home for your family begins with picking a city and reviewing the surrounding neighborhoods and their offerings. Homes.com, a leading real estate listing site, researched some of America’s favorite locales to uncover the top 10 family friendly cities. The Homes.com “Top 10” series is designed to guide consumers through every phase of life, from choosing the perfect place for summer vacation, to discovering the best cultural cities. The latest list of best places to raise children highlights cities across the country that are family friendly and offer great educational, cultural and work opportunities. In 2011, Business Week named Blacksburg the “Best Place in the U.S. to Raise Kids.” Home to Virginia Tech, Moog Inc. and the National Weather Service, Blacksburg has a great educational base as well as plenty of economic opportunities. The city is known for its affordable living costs, low crime rates and exceptional schools. Blacksburg is brimming with family friendly amenities and features a community center with an indoor pool and a nine-hole municipal golf course. One of the fastest growing cities in the country, Raleigh combines a big city look with a small town feel. The city is noted for its affordable family housing, low crime rates and high median family income, as well as one of the strongest school districts in North Carolina. Raleigh, located in the Wake County School District, has more than 70 excellent schools including Raleigh Charter High School, which is consistently ranked as one of the best schools in the state. From the Spanish word “flat,” Plano’s culture and environment are anything but. 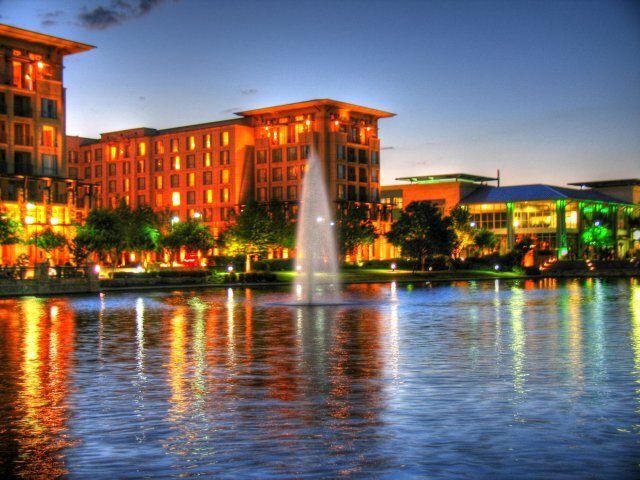 Home to several corporate headquarters including Dell Services, Dr. Pepper, Snapple Group, Alliance Data and Cinemark Theatres, Plano has an abundance of employment opportunities for parents. Consistently topping Forbes magazine’s safest cities in America list, its police department is one of the few in the country that requires officers to have a four-year college degree. Plano was given a national award for excellence for its Neighborhood Watch in 2011. Tampa is the fourth most popular search on Homes.com, due in part to its reputable school district. The district has a student-teacher ratio of 13.5:1, less than the national average of 15.4:1. Residents enjoy warm weather year-round and have only a short drive to enjoy the Gulf Coast’s pristine beaches. Families look forward each year to the city’s annual Gasparilla Festival, a pirate-themed celebration including parades, a “Children’s Extravaganza,” music festival and marathon. The Port of Tampa is Florida’s largest port and seventh largest in the country. It contributes billions of dollars each year into the region’s economy. Boston is consistently recognized for its education, economy, culture, sports and rich history. Boston ranks third in livability and sixth in economy among U.S. cities. Home to several prestigious universities including Harvard and Boston University, Boston also boasts the largest pediatric research center in the world and the iconic Boston Children’s Museum, a dynamic facility with exhibits and hands-on learning experiences for children of all ages. With fewer than 200 violent crimes per 100,000 residents, Rochester is one of the safest cities in America. Home to the Mayo Clinic, which employs more than one-third of the population, Rochester also boasts a rich history and an extensive park system. Many downtown buildings are part of the National Register of Historic Places, and the Root River and Douglas State Trails are great outdoor destinations for families. Families seeking a smaller city will enjoy Pocatello. Boasting safe neighborhoods and a low cost of living, the city offers several family friendly activities including the Pocatello Zoo, Idaho Museum of Natural History and Ross Park Aquatic Complex. Families looking for an easy day trip can visit nearby places including Salt Lake City, Yellowstone National Park and the Rocky Mountains. Families will build memories enjoying the city’s recreational options and exploring the great Northwest. Phoenix is the sixth most populous city in the U.S. and third most improved city according to rental searches on Homes.com. The city is home to seven Fortune 500 companies and has an active high-tech and telecommunications industry. Its many recreational activities are also a major draw for families. South Mountain Park and Preserve, the largest municipal park in the world, covers 16,500 acres and has more than 50 miles of biking, hiking and equestrian trails. Avid sports fans enjoy the best-attended PGA tour event each February at TPC Scottsdale, and Phoenix is one of only 13 cities that boast teams in all four major professional sports leagues. A popular vacation spot, Honolulu shouldn’t be overlooked by families as a great place to raise kids. Meaning “place of shelter,” Honolulu has 470 high-rise buildings, placing the city fourth behind New York, Chicago and Los Angeles. The city enjoys a strong economy, cultural and artistic attractions, and a thriving school system. More than 14 Honolulu schools have been presented with the Department of Education Blue Ribbon School for Excellence Award. With a 20-minute commute from one end of the city to the other, Honolulu offers hundreds of beaches and is an ideal location for daily family fun. With more than 100 parks, countless trails, a bustling metropolitan area and dozens of annual events, it’s hard to imagine getting bored in this city. Lincoln has a strong community feel and features numerous arts, cultural and family friendly activities. Its International Thespian Society, Lincoln County State Fair, Capital City Ribfest, Lincoln Children’s Zoo and Sunken Gardens can be enjoyed by parents and kids alike. Families curious about owning or renting a home in any of these family friendly locales can visit Homes.com for the best homes from North Carolina to Hawaii and everywhere in between. For photos and more information about America’s most family friendly cities, visit the Homes.com blog. As one of the nation’s top online real estate destinations, Homes.com inspires consumers to dream big. From affordable houses to luxurious estates, condos, apartments and more, Homes.com features more than four million property listings and a user-friendly format, making finding your next home or a licensed real estate agent easy. Visitors to the Homes.com blog will find a collection of rich content and posts on DIY projects, painting, gardening and more, providing the ultimate resource for everything home related. From purchasing a first home, to upgrading, downsizing and everything in between, Homes.com is an inspiring and engaging partner in every phase of the home-buying process. For more information, visit http://www.homes.com or blog.homes.com.